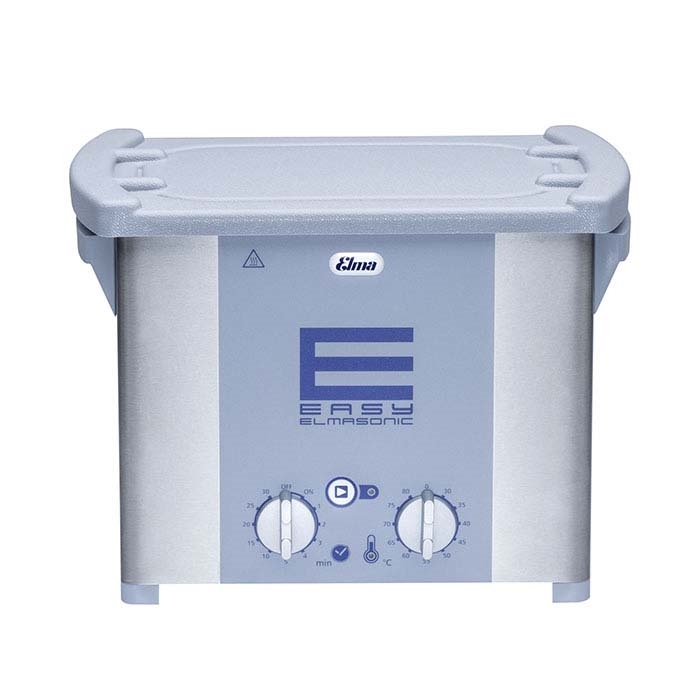 Elmasonic Easy 30 H 3 Quart Ultrasonic. The Elmasonic EASY series is characterized by simple, user-friendly operation. 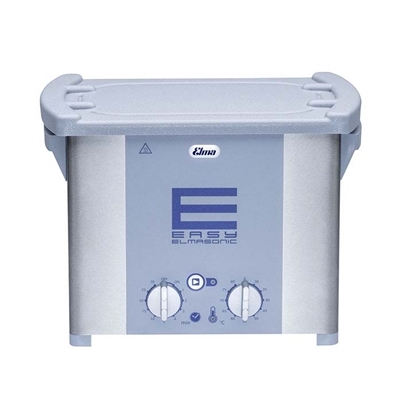 With 100% ultrasonic power at a frequency of 37 kHz, the Pulse function and visual warning (when bath temperature reaches the set limit), the Elmasonic EASY solves typical cleaning tasks in the jewellery store and jewellery shop quickly and efficiently. The Elmasonic EASY units are equipped with stainless-steel casing. They are equipped with higher unit feet, which improves the protection of the electronics against splashwater.